Bhutan’s national tree, Tsenden, is highly sought after for the construction and renovation of religious buildings. However the level of logging has become unsustainable and the tree is now threatened in Bhutan. GTC worked with local communities to restore populations of Tsenden in the Dangchu valley in order to create a sustainable source of Tsenden timber and eventually provide revenue for local people. Bhutan’s national tree – Tsenden (Cupressus torulosa) – only occurs naturally in Bhutan and possibly India. 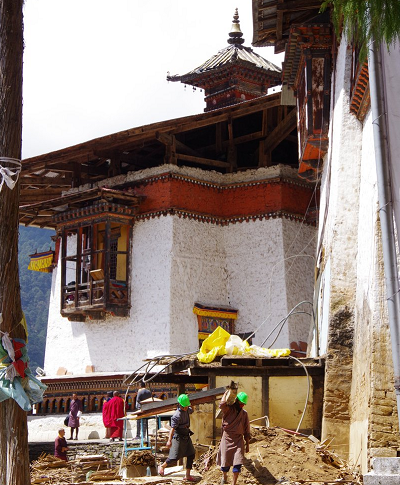 Tsenden is of immense cultural and religious importance, making its timber a widely sought after material for the construction and renovation of Bhutanese holy buildings such as Dzongs (temples) and monasteries. These trees are very long lived. A decline in wild Tsenden populations in Bhutan has been observed largely due to unsustainable logging rates. 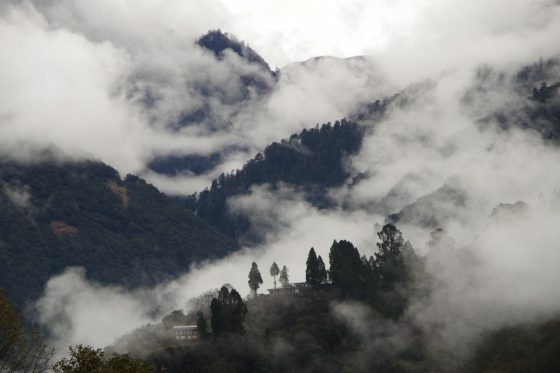 The Dangchu valley, which houses the largest known population of Tsenden in Bhutan, has been frequently targeted by both legal and illegal loggers. Most recently Dangchu valley Tsenden is being harvested to rebuild the Wangduephodrang Dzong, which was destroyed by fire. The local people of Dangchu valley are concerned about the sustainability of these actions and fear that this culturally important tree is at risk of disappearing. 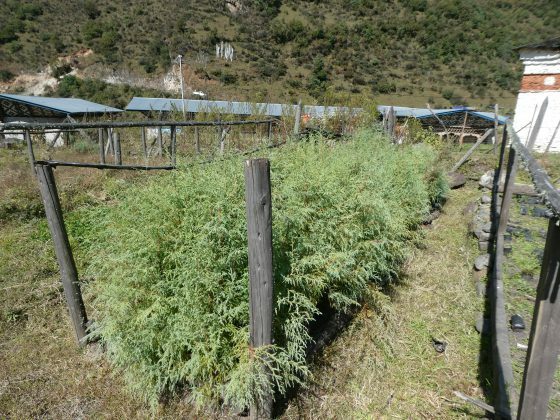 This has led the present Mayor of the Dangchu valley, with the help of local people and the Forestry Department, to establish a nursery to grow Tsenden seedlings. 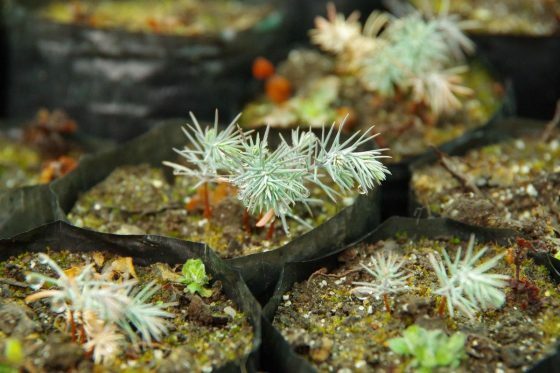 GTC worked with Royal Botanic Garden Serbithang (RBGS), Royal Botanic Garden Edinburgh (RBGE) and the people of Dangchu village to put Tsenden back on the road to recover by protecting mature individuals and substantially boosting the number of seedlings planted out from the nursery. 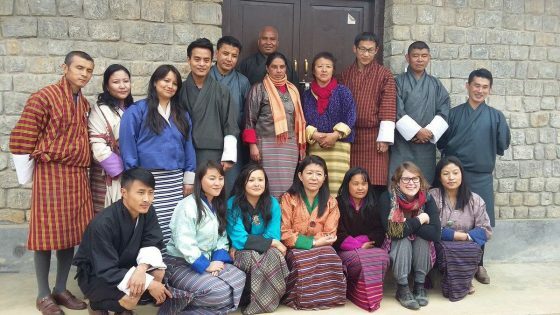 This project generated new knowledge about Bhutan’s national tree, for example by identifying optimum growing conditions which allowed villagers to plant the trees out in greater numbers. In the long-term, restoration of populations of Tsenden in the Dangchu valley, will create revenue for local people and provide a sustainable source of Tsenden timber. However, it is estimated that the trees take around 70 years to reach a harvestable size, so the Dangchu valley residents carried out this project with future generations in mind. 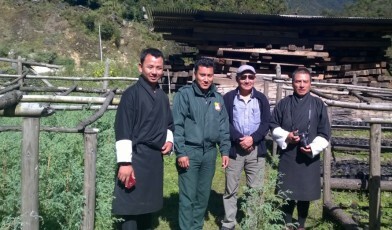 Tsenden seedlings ready for planting in the Dangchu Nursery. Vital steps have been taken to secure this sacred tree as a result of this project. With RBGE, seed was collected over 2016 and 2017 from as many mother trees as possible to increase the stock and genetic diversity of the Dangchu valley nursery. 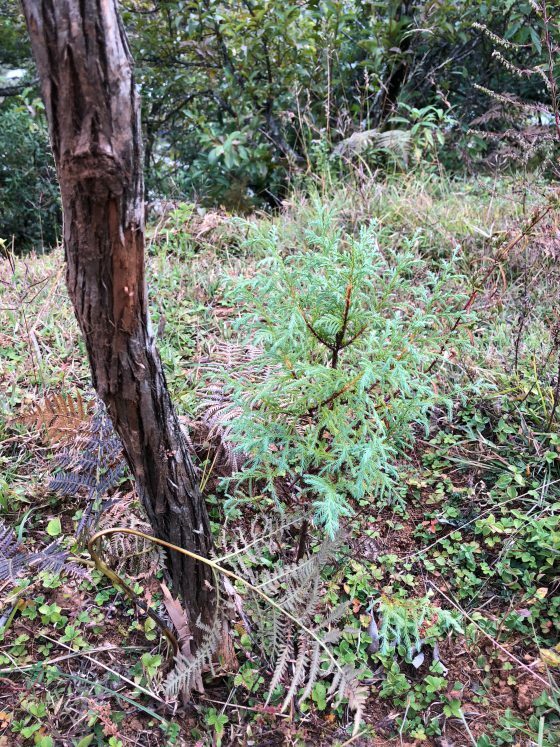 In 2017 and 2018 approximately 41,000 seedlings from the nursery were planted across over 12 hectares of the valley. Fencing, weeding to ensure establishment and regular maintenance of the planted plots is ongoing by the community. Fencing materials were purchased and installed in late 2018 to protect mother trees root systems from disturbance by people and livestock. At RBGS special exhibition about Bhutan’s native flora such as Tsenden and the need for its conservation is being developed. BGCI’s education team kick-started this process in November 2016 by running an interpretation design workshop at RBGS.